Become part of an Army Ranger team as you battle your way through enemy-infested towns, regain control of the Atlantic, and establish a beachhead as part of the D-Day invasion force on Omaha Beach in Medal of Honor: Allied Assault. 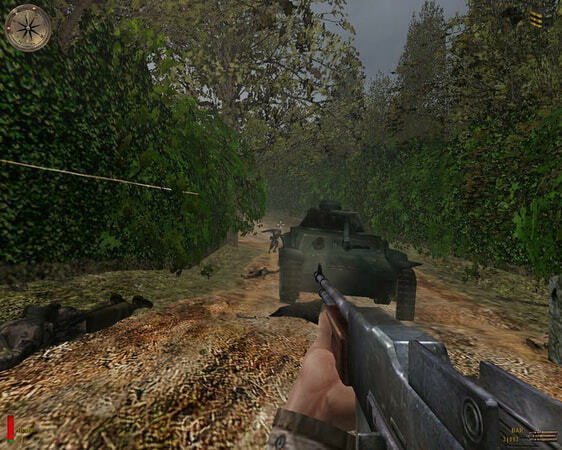 Medal of Honor: Allied Assault – Spearhead chronicles the last year of the war on the European front. Parachute behind enemy lines during Operation Overlord, halt the German offensive during the Battle of the Bulge, and engage the German forces as they desperately try to defend the heart of the Reich, Berlin. 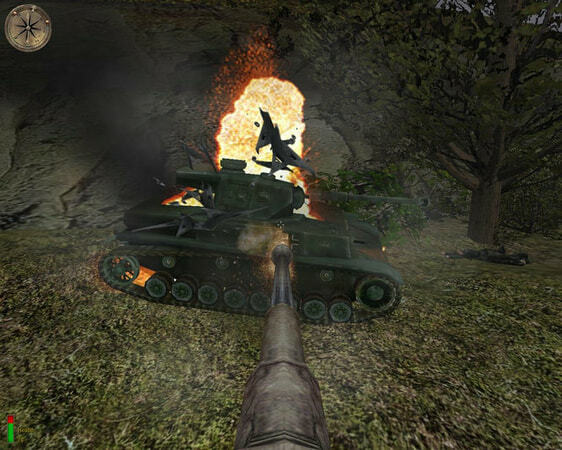 In Medal of Honor: Allied Assault – Breakthrough, you’ll join U.S. Army Sergeant John Baker as fights in the battle at Kasserine Pass in North Africa, race to capture Messina in Sicily, and finally repel the German army at the historic battle of Monte Battaglia in the heart of Italy. 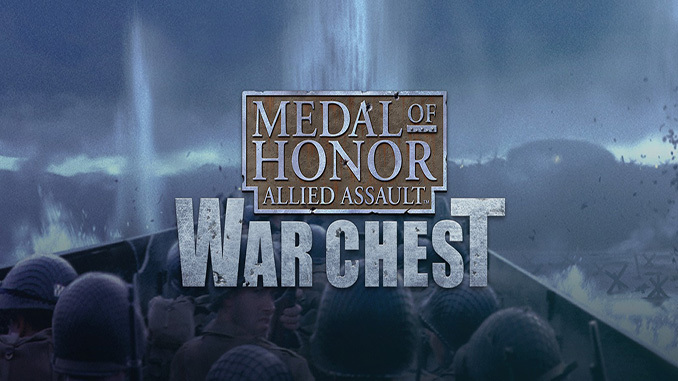 – Medal of Honor: Allied Assault War Chest includes Medal of Honor: Allied Assault and its two expansions: Spearhead and Breakthrough. – Wage war in vast and stunning locales–from North Africa to Norway, occupied France all the way to the heart of Germany. – Over 48 carefully researched and authentic weapons from World War II. Windows XP / Windows Vista / Windows 7, 1.8 GHz Processor, 512MB RAM (1 GB recommended), dedicated 3D graphics card compatible with DirectX 7 (compatible with DirectX 9 recommended), 3GB HDD, Mouse, Keyboard. Compatibility notice: Intel integrated graphics cards, and ATI Radeon X1800 cards, are not supported. Multiplayer notice: The game’s multiplayer servers are no longer supported by the publisher and the only option available is LAN (no CD-key required). Become part of an Army Ranger team as you battle your way through enemy-infested towns, regain control of the Atlantic, and establish a beachhead as part of the D-Day invasion force on Omaha Beach in Medal of Honor: Allied Assault. Medal of Honor: Allied Assault – Spearhead chronicles the last year of the war on the European front. Does it have all the maps ?? 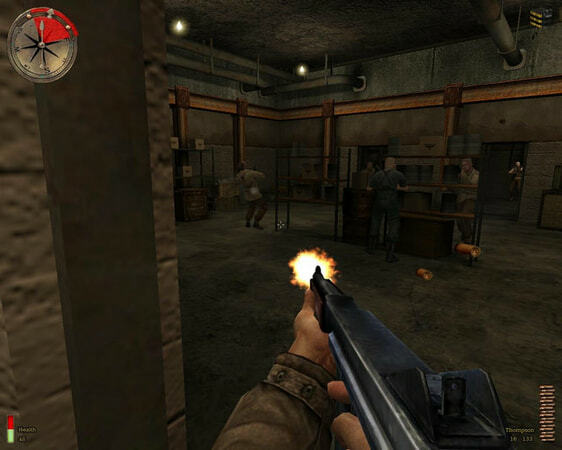 Por que não consigo jogar os outros 2 Medal of Honor Além do Assault?